Round crystalite decanter CB11, a fine quality crystal decanters with attractive round shape body with thick glass base. 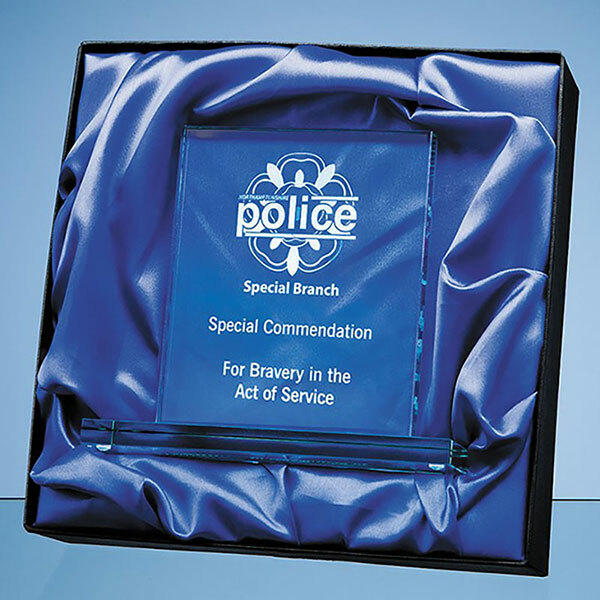 Topped with a round glass stopper, ideal engraved as a personalised gift, and offered with low, fixed cost text engraving and free logo engraving. A beautifully-proportioned crystal glass spirit decanter that is sure to make a big splash when presented, and a lasting impression as it is used in the years to come. Crafted in crystalite, it features a round shape with a thick base. The weight of this decanter is 1.7kg. It includes a matching clear glass spherical stopper. The decanter can be engraved on its plain body, and is offered here with low, fixed cost text engraving and free logo engraving. 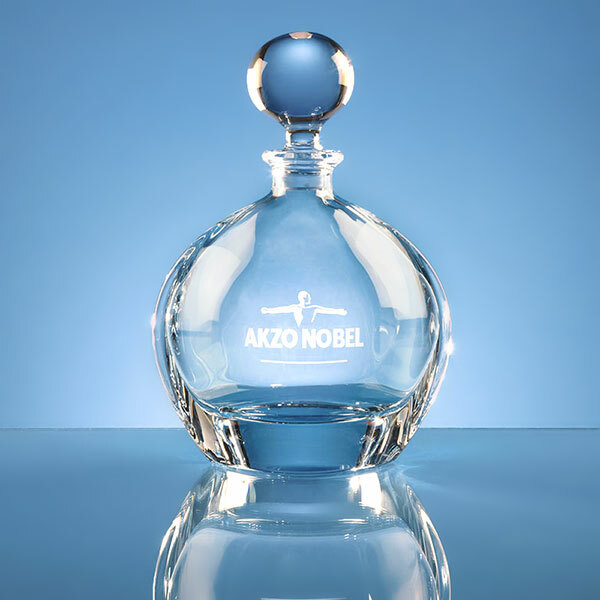 Add a name, message or dedication to create a unique personalised spirit decanter as a special gift or award. 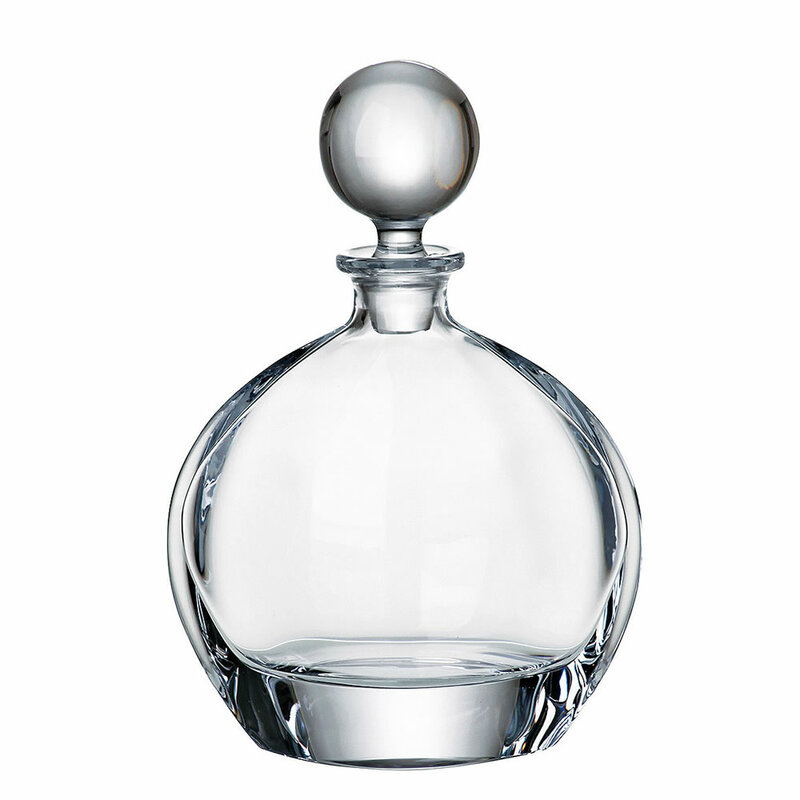 An optional fitted, satin-lined presentation box is available for this decanter. Capacity: 0.75ltr. Weight: 1.7kg. Height: 240mm. Dia: 170mm. Easy website to navigate. Good price. Excellent quality product. Lovely decanter engraved perfectly. Rapid safe reliable delivery. That’s worth a top score at every step of the way!